And Fishing isn’t the only activity offered at the Berkshire fishing Club! Hiking – The club maintains about 4 miles of well-marked hiking trails that give you an excellent opportunity to examine the local flora and fauna. Bird watching along the trail is particularly good as are any number of views. 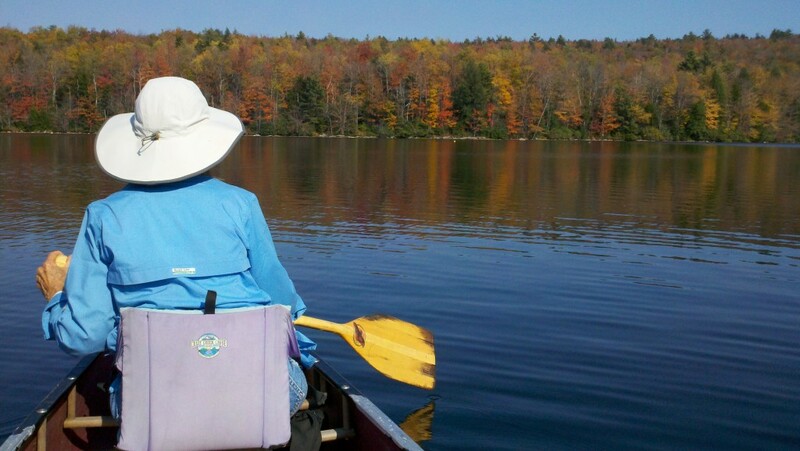 Canoeing – Canoes and kayaks are available for rent and offer an ideal way to explore the lake and the surrounding shorelines. Unwind – You’ll be able to relax and trade fishing stories with other members over light snacks and beverages offered at the Berkshire Fishing Clubhouse. Calling upon the authentic, rustic log cabin designs and stylings of days gone by, the clubhouse offers a large deck with open and screened-in areas overlooking our private and the surrounding breathtaking scenery. Grilling – Cook your favorite burgers and hot dogs on our large outdoor deck overlooking the lake.